So here’s how this is going to work. I am going to give you an overview every week of how the week went and my thoughts. I will then provide a summary table of each run and any relevant comments so you can see exactly what my training consisted of. So if you want to skip the waffle scroll to the bottom for the colourful table. For those of you on Strava you are welcome to delve even deeper in to the data if you wish. One thing to note; I work in miles. So if I refer to a distance or pace, and don’t include the units, you know I am a mileage man. My marathon training officially started on Monday the 2nd of January. Well, that’s kind of a lie. Unofficially, all of my running through late Autumn and the Winter has been geared towards getting in shape to start this training block. December’s 410 miles was my biggest month and capped off a big increase in miles on the previous year. I haven’t been focusing on key marathons sessions though. Now I will be. My block will consist of 16 weeks training. Some of that is a taper. There are a number of lead-up races before London but these are not my priority. All of my focus is on achieving the 2:24 goal I have now set myself. So what did week 1 have installed for me. 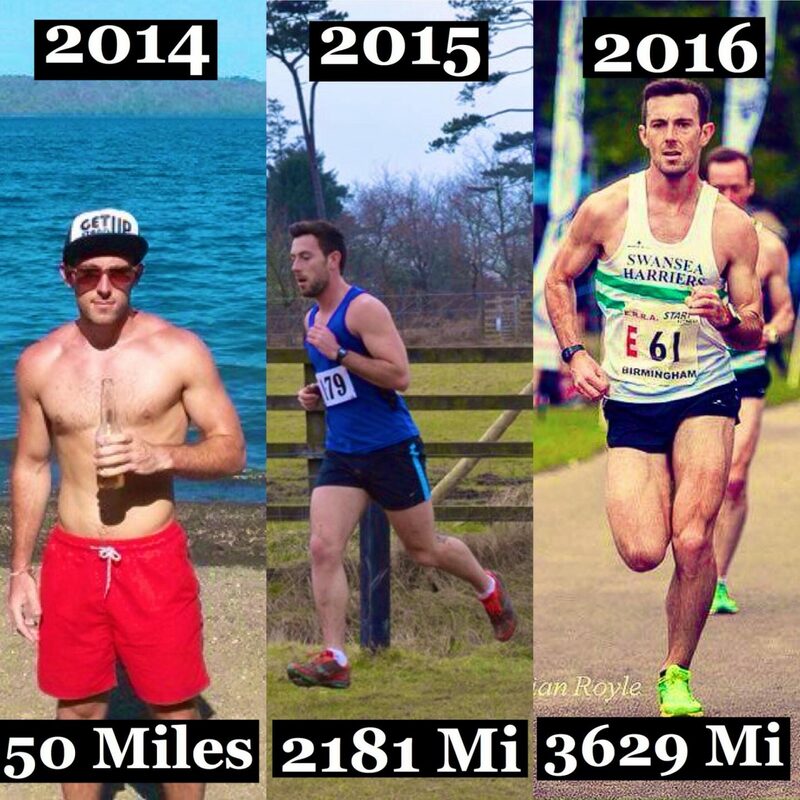 Well the first thing I did was have a look back at my first week of Marathon training last year. The findings were pretty uninspiring. I enthusiastically ran twice on the Monday, followed by a track session on the Tuesday. The rest of the week is completely blank. 27 miles in total. Poor time management, a lack of motivation, and a severe absence of dedication plagued my debut week of marathon training before, but all of that has changed. This year I am the most motivated I have ever felt. I want this. This year in week 1 I racked up over 100 miles. The week had some ups and some downs. Don’t they all? Monday was great. A steady 10 followed by an easy 6. No issues. 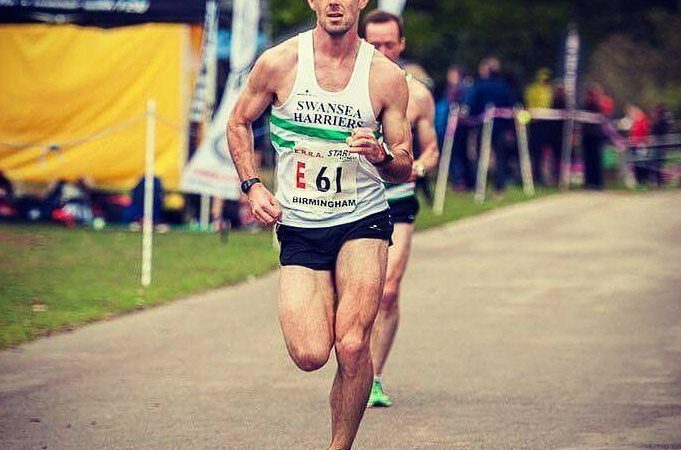 On the Tuesday I followed an easy 4 with my first Swansea Harriers session for months. I don’t always go down to training if the sessions don’t fit in with what I am trying to achieve in that session, but tonight I wanted to train in the group environment. I was feeling a bit apprehensive about returning to the track, as I hadn’t trained on the surface since my ankle issues back in early November. Also, sometimes I get a bit nervous at the thought of pushing myself really hard. I love it when I do, and I think the slight nerves actually help. However, I have to get myself in to the right mental state of mind before I start. Luckily the session planned was not on the track; instead a road loop had been penciled in. The loop consists of 600m efforts followed by a slightly longer distance of steady recovery running. The efforts start with 300m flat, but that is followed by a hill. One of those spiteful hills that gets gradually steeper the closer you get to the summit. Yes I just used the word summit to describe a 300m slope, but when you feel that awful at the top it needs hyperbole. We debated whether to do 6 loops or 8, and then somehow came to the realisation that odd numbers exist, so settled on 7. I was really happy how the session went. 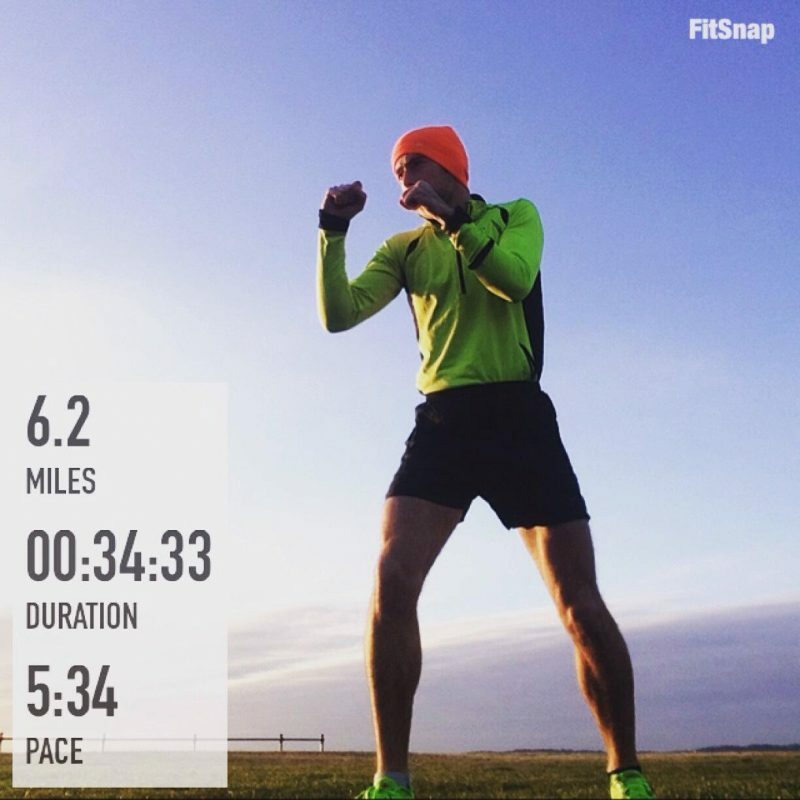 All of my efforts came in sub 5 min/mile, and I felt quick and strong. I tried something new on the sixth rep. I pretended to myself it was my last effort, and went as hard as I could. Obviously I knew that I had a 7th rep to do, but my theory was that by ‘tricking’ myself to go all out I would get a quality rep done and then see what was left in the tank at the end. No pressure I thought, if the last rep goes badly, you know why. Well, I smashed the effort part of the 6th loop in 4:40 pace. How would I follow this up? 4:43 pace for the final loop meant I had recovered well and got my 2nd fastest effort of the session done. I don’t want to be that guy who saves it all up for the last rep.
Wednesday was my medium long run. My legs were in pieces after the exploits of the night before. They are not used to running that quickly after weeks of slower mileage. I ground out 12 slow miles. A little less than I would usually go for a medium long run. Tough but necessary. On the Thursday I had a 10 mile tempo run planned. I love this session and recently completed it in 5:23 pace. One of my best training runs to date and a great indicator that a quick Half Marathon is not far away. This time I was going to run by heart rate (HR). Something I have never really done. HR data is normally something I refer to after a run. I wanted to run at 90% HRmax, which works out at about 170 bpm. The tempo was not a success. I was working as hard as I had planned but it felt tough. Too tough. My legs felt like lead. I had no flow at all to my running and the pace was way down on where it had been a few weeks earlier. I did something I would not normally do and changed the session mid-run. My legs just didn’t feel ready for a 10 mile battering. So, at 3 miles I turned and decided to run 10K. Keeping the HR at 170 I went through 5 miles at 5:37 pace. At this point I decided to scrap the HR and just go for it for the final mile and a bit. I wanted to get something positive out of a disappointing tempo. It seemed my legs just wouldn’t run fast. All those miles in December were starting to catch up with me. Well maybe this is what it will feel like in the latter stages of the Marathon; I will be struggling to get my legs to run fast. So I visualised in my head that I was coming in to the last mile near the embankment and that I needed a sub 5:20 mile to get my goal time. One mile Matt. Go! I pushed on, my HR picked up and my legs groaned. No time to look at the watch. Count to 300 in your head and then sprint. Boom! 5:07 pace for the last effort. I won that little game. Take that fatigue. After an easy Friday I went into Saturday’s planned treadmill session a little fresher. The treadmill and I have a marmite-like relationship. I love how you can set a pace and you have to stick to it or fall off. I hate that it is so boring, insanely hot and I get ridiculously sweaty. The planned session was 2 hours progression. My legs had been struggling for pace of late, the treadmill won’t let them turn over slowly. When I push the button they are forced to react. The first hour I set the treadmill to 1% and 15 kph (6:26 min/mile). It felt pretty comfortable. The stupid treadmill (there’s that tension again) won’t go any longer than an hour without resetting. So for the second hour I quickly started it up again and ramped the pace up to 16.5 kph (5:51 min/mile). It felt much quicker but I distracted myself with the entertaining cross country being shown on the gym TVs – albeit with pumping dance music playing through the gym sound system. The final half hour on the treadmill I really wound up the pace as I watched Callum Hawkins in awe, as he hurtled over the Scottish turf. I was edging the pace up and up on the treadmill as the hour closed in; finally finishing with a couple of minutes at 20 kph. I then remained on the treadmill dripping in my now soaked through kit, screaming at the muted TV. Come on Callum! Only for the Kenyan-born Leonard Korir of the USA to pip him at the line in one of the most entertaining races I have witnessed in ages. I got some strange looks from over in the weights area, although I was disturbing everyone and had been on a treadmill for 2 hours. Peculiar behaviour by anyone’s standards. Another new strategy was put in to practice on the Sunday. Back-to-back long runs. This time it was just about time on my feet, but I wanted to get out and cover some distance on my tired legs. The pace was easy but it certainly didn’t feel that way. Well my breathing was fine but my legs were so angry with me, and reminded me of that for the whole duration of the 16 miles. I listened to a great audiobook discussing mental strength in athletes, and it helped me plod back home. Overall I am happy with the week, but I am already feeling the effects of fatigue in my legs. Although some of this may be down to the fact that I have also been eating less calories than usual in a bid to gradually lose some of the excess fat I am carrying. Next week I plan to get myself down the track; run a tempo on the treadmill; and bank 2 weekend long runs again. The long runs will this time incorporate some faster efforts in to them in the form of races. Thanks Matt. Good luck with training. See you there. Brilliant blog, I’m really interested in how the elites train, great detail and appreciate you sharing your stuff. Thanks Jay. 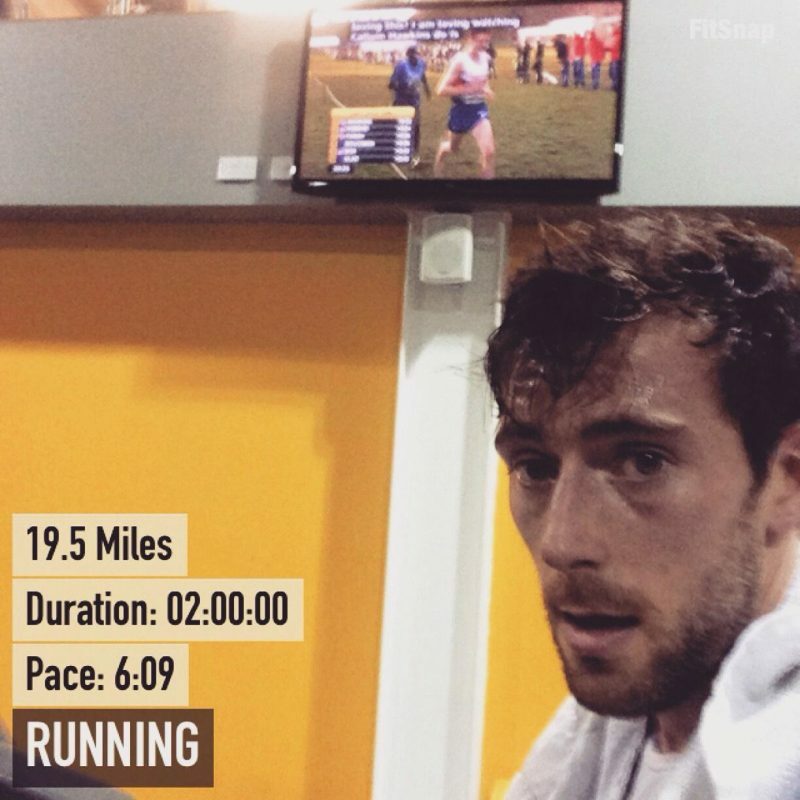 I will continue to blog about my lead up to London, so I hope you enjoy seeing how I train. Hey, hat is the name of that audiobook you were listening to about mental strength in athletes? Hi Abe, It’s ‘How bad do you want it?’ By Matt Fitzgerald. Really interesting read or listen.